Hi Guys. I am very excited about today's post! Because it's a GIVEAWAY! Vaida from Don't Tell Anyone wrote to me a few days ago to ask if I wanted to co-host one with her and Kotryna from Girl With A Movie Camera, and not only was I flattered that they had thought of me as the third musketeer, but I am also pretty stoked about what y'all can win. Each one of us feels happy with every new follower, every new comment and every tweet we receive from our readers! So in order to celebrate you being amazing, I teamed up with Vaida and Kotryna for this fabulous giveaway! So, the prize. 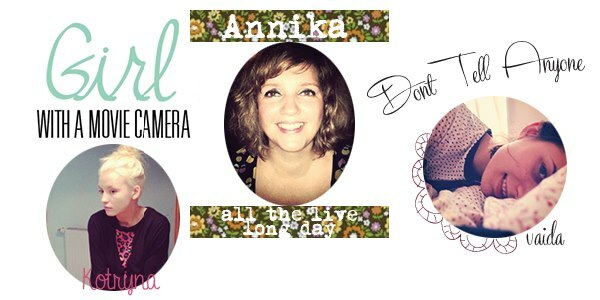 3 lucky people will be in for a chance to be treated to a brand new look for their blog! A lovely new layout can help to take your blog to a new level, and this is why Vaida and Kotryna are giving away 3 of their pre-made blog templates. Yep, three of our followers will be able to pick their favourite templates from either Vaida's shop or Kotryna's store on Etsy! They will then help you to install the templates and provide full post-design support! Is that fab or what? All you have to do to enter is follow at least one of us gals, but the more love you show us, the more entries you gain. And you have until Wednesday, 24 April 2013 to get lovin'. Simple. 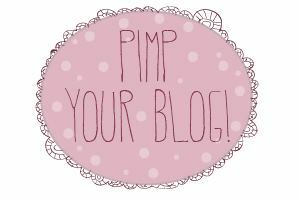 If you're entering, leave me a comment that links to your blog, so I can come and check you out, too. Okay? Ace. Thank you. We will announce the winner next Wednesday! Good luck and thank you all for entering! And just in case you cannot wait until a winner is announced, or you just simply need a new blog design RIGHT NOW, check here or here for all the creative, affordable designs that are available. Not long to wait now until we know who's won! Thank you for entering!